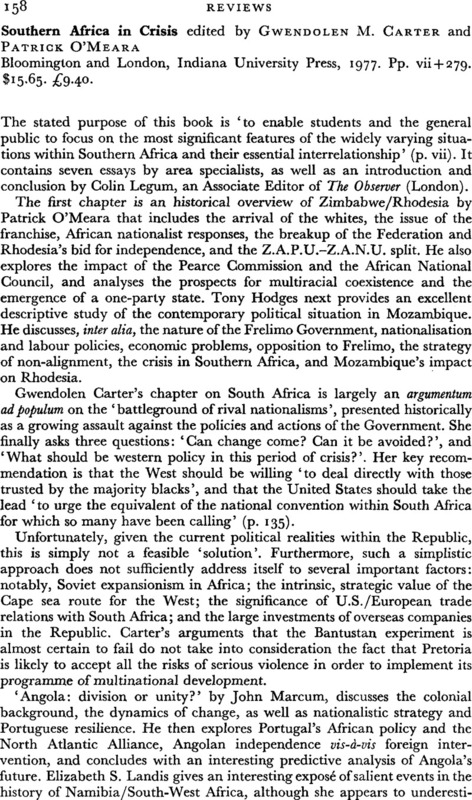 Southern Africa in Crisis edited by Gwendolen M. Carter and Patrick O'Meara Bloomington and London, Indiana University Press, 1977. Pp. vii + 279. $15.65. £9.40.